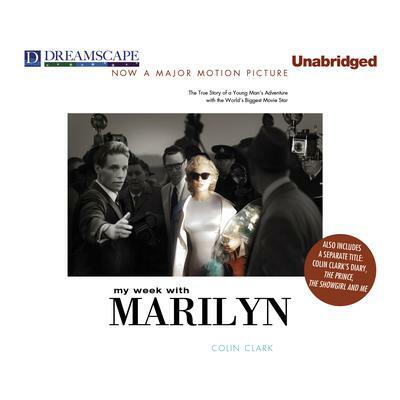 In 1956, fresh from Oxford University, twenty-three-year-old Colin Clark began work as a lowly assistant on the set of The Prince and the Showgirl, the film that united Sir Laurence Olivier with Marilyn Monroe. The blonde bombshell and the legendary actor were ill suited from the start. Monroe, on honeymoon with her new husband, the celebrated playwright Arthur Miller, was insecure, often late, and heavily medicated on pills. Olivier, obsessively punctual, had no patience for Monroe and the production became chaotic. England was abuzz when Monroe arrived to shoot The Prince and the Showgirl. She hoped working with the legendary Olivier would give her acting further credibility, while he hoped the film would give his career a boost at the box office and some Hollywood glamour. But Monroe, feeling abandoned when Miller left the country for Paris, became difficult on the set. Clark was perceptive in his assessment of what seemed to be going wrong in Monroe’s life: too many hangers-on, intense insecurity, and too many pills. Olivier, meanwhile, was impatient and condescending toward her. At a certain point, feeling isolated and overwhelmed, Monroe turned her attention to Clark, who gave her comfort and solace. Before long, she escaped the set and a remarkable true adventure took place. Monroe and Clark spent an innocent week together in the English countryside and Clark became her confidant and ally. And, like any man would be expected to, he fell a bit in love. Clark understood how best to handle Monroe and became Olivier’s only hope of getting the film finished. Before long, young Colin was in over his head, and his heart may well have been broken by the world’s biggest movie star. A beguiling memoir that reads like a fable, My Week with Marilyn is above all a love letter to one of our most enduring icons. In 1956, fresh from Oxford University, twenty-three-year-old Colin Clark began work as a lowly assistant on the set of The Prince and the Showgirl, the film that united Sir Laurence Olivier with Marilyn Monroe. The blonde bombshell and the legendary actor were ill suited from the start. Monroe, on honeymoon with her new husband, the celebrated playwright Arthur Miller, was insecure, often late, and heavily medicated on pills. Olivier, obsessively punctual, had no patience for Monroe and the production became chaotic. England was abuzz when Monroe arrived to shoot The Prince and the Showgirl. She hoped working with the legendary Olivier would give her acting further credibility, while he hoped the film would give his career a boost at the box office and some Hollywood glamour. But Monroe, feeling abandoned when Miller left the country for Paris, became difficult on the set. Clark was perceptive in his assessment of what seemed to be going wrong in Monroe’s life: too many hangers-on, intense insecurity, and too many pills. Olivier, meanwhile, was impatient and condescending toward her. At a certain point, feeling isolated and overwhelmed, Monroe turned her attention to Clark, who gave her comfort and solace. Before long, she escaped the set and a remarkable true adventure took place. Monroe and Clark spent an innocent week together in the English countryside and Clark became her confidant and ally. And, like any man would be expected to, he fell a bit in love. Clark understood how best to handle Monroe and became Olivier’s only hope of getting the film finished. Before long, young Colin was in over his head, and his heart may well have been broken by the world’s biggest movie star.